YouGov’s weekly results for the Sunday Times are out here and show Labour continuing to enjoy a boost from their conference. Topline voting intention figures are CON 31%, LAB 42%, LDEM 9%, UKIP 13%, the first double-digit Labour lead this month. Ed Miliband’s own ratings are also up – 30% now think he is doing a good job as Labour lead, up from 22% last week. In YouGov’s polls at least there appears to be a real change from Labour’s conference – what remains to be seen is whether it lasts, or is rapidly cancelled out by the Conservative conference next week. For now though let’s look at the post-Labour party conference polling. 50% think it is true to say that Miliband has moved his party to the left, but they are divided over whether this is a good or bad thing – 23% see it as a positive, 27% see it as a negative. More empirically (since people aren’t very good at comparing their views now to their views in the past), YouGov asked people to place the parties on a left-right scale, from very left wing to very right wing. 34% now see Labour as very or fairly left wing, up from 26% last year and the highest since YouGov started asking this question back in 2006 (under Blair and Brown it tended to be around 20%). Note however that the Conservatives are seen as very or fairly right wing by 39%, so Labour may been seen as having moved more to the left, but it does NOT mean they are seen as less centrist than the Conservatives are. Looking at some of the specific policies Labour promised at their conference, 63% support the energy price freeze, but the most widely supported policies were actually increasing the minimum wage (71%) and increasing corporation tax for big companies and cutting rates for small firms (71%). There was majority support for seizing land from developers who don’t use it (53%) and making firms offer an apprenticeship for each immigrant they employ (52%). The only major announcement from the conference that people did not support was giving the vote to 16 year olds, opposed by 61%. Another worry for Labour is while people support the policy announcements, there seems some doubt about whether they are actually affordable – 52% think Labour are making promises the country can’t afford, 23% disagree. To put that in context only 35% think the Conservatives are making unaffordable promises, 36% do not (though who knows what they’ll announce in the week ahead that might change that). Things that are just offensive, well, it depends. I’m sure there are cases were pollsters would turn things down on those grounds, but there are also cases where they would do them. For example, YouGov does a lot of work with Matt Goodwin at Nottingham University, who specialising in studying the support of the far-right, EDL activists and things like that. That has involved polling measuring if far-right activists hold very racist views, or think there are international Jewish conspiracies, if the holocaust is a hoax, etc… and of course, we’ve done polls of the general public as a control. Some people would consider those questions themselves to be offensive… but I think it is perfectly acceptable to asking them for serious academic purposes like Matt’s. I caught the Con conference headlines in the car. I wrote last week that I would await to see how many sweets were doled out this week, to counter those from Labour, before I made a prediction for Friday. So far I would guess a couple of points could be rowed back to Con but I am less sure that they would be so rowed back at Lab’s expense. Just a gut feeling at present but let’s see if more goodies are to emerge. Can we please skip the posts saying “X’s speech was wonderful”. It only invites “no it was rubbish”, and before we know it we’re into a tired partisan back-and-forth. If only you had sent this note out last week! Were those opinions on ‘help to buy’ around the time the first announcement was made several months ago? It didn’t sound from your comment that this was related to any recent polling. I know that forums are not good guides but looking at BBC, DT and Guardian at the weekend I could not find one positive comment about ‘help to buy’. I was aware that the first time it came up there was very little negative reaction (except among economists) but since that time the narrative of ‘housing boom’ has taken off and I would be amazed if those polling figures were not reversed. Shevii – they were from when it was first announced at the budget, I strongly suspect there will be new figures in the next few days! 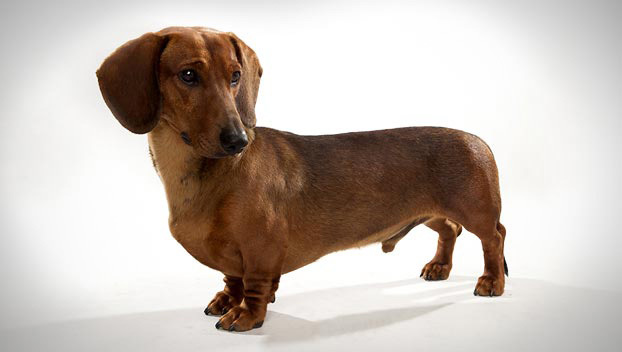 A Sausage Dog (Dachshund) – seriously, always thought so! A bit too svelte for him after this summer’s towel revelations, surely? Fascinating looking through the figures for this YouGov. Particularly the 1% of Labour supporters who are ‘very right wing’ (Hi, Tony!) and the 2% of Tories who are more likely to vote Labour since Ed Miliband said he was bringing back socialism. Also, rather fascinating one: Conservatives slightly oppose making firms hire apprentices for each foreign employee – I thought they were anti-immigration? I would suggest it’s an Ed Miliband idea and they’re reacting to that fact. I reckon if Cameron had suggested it the opinions would be flipped! I seem to have hit a nerve with my light-hearted remark about politicians’ appearance. One or two picked up on my jocular intent. To those who took it seriously, sorry if you were upset in some way. Clever of GO to cut fuel duty. Increases the deficit though so slightly counter-intuitive. It does though beg the question of what will happen in next year’s Conference season. Have the parties forgotten we now have five year fixed term parliaments? Chordata – there was earlier, presumably he must have spotted the embargo after the event! We thought it was a sooper, soooooooooooooooooooper speech. Ooops! Our mistake – we didn’t hear it. Owr dad says it’s “too” in England. Anyway, what was the joke? We could do with a laugh. I don’t think I could slip it past him on this thread even though there’s a NEW THREAD.